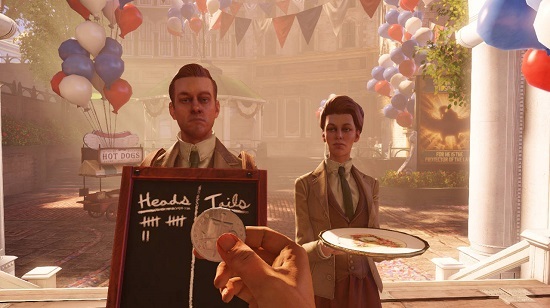 BioShock Infinite is a first-person shooter video game developed by Irrational Games, and published by 2K Games. BioShock Infinite is the third installment in the BioShock series, and though it is not part of the storyline of previous BioShock games, it does feature similar gameplay concepts and themes. BioShock Infinite uses a Modified Unreal Engine 3 game engine and was released worldwide on March 26, 2013. We tested BioShock Infinite with the Ultra game settings. 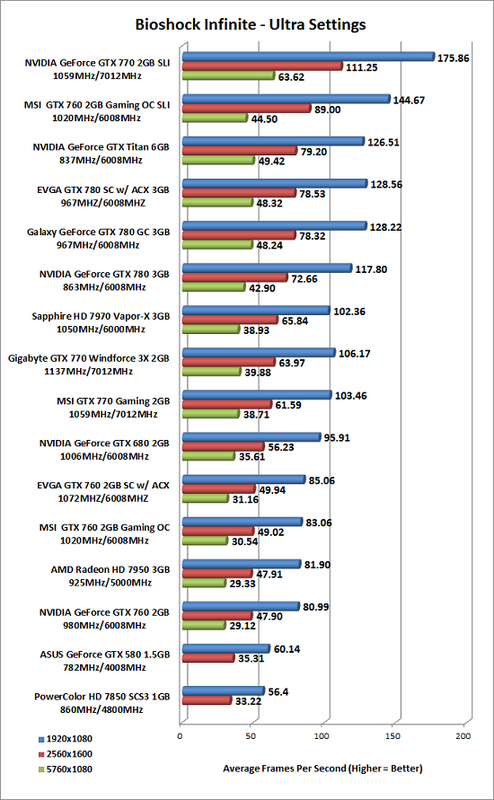 Benchmark Results: The EVGA GeForce GTX 760 2GB Superclocked with ACX Cooling was 2-3 FPS faster at 2560×1600 and 5760×1080 than the GeForce GTX 760 reference card.